Friends and family at the wake of bodybuilder Pradip Subramanian expressed shock at his death, following a muay thai match on Sept 23. Amid an outpouring of shock and grief over bodybuilder Pradip Subramanian's death yesterday, questions were raised over the circumstances surrounding the incident. The 32-year-old died at the Singapore General Hospital (SGH) about an hour after he fought in a muay thai bout against YouTube personality Steven Lim. Mr Pradip was a late replacement for former Singapore Idol runner-up Sylvester Sim, who withdrew on the eve of Saturday's "celebrity fight" at the inaugural Asia Fighting Championship (AFC) match at Marina Bay Sands. 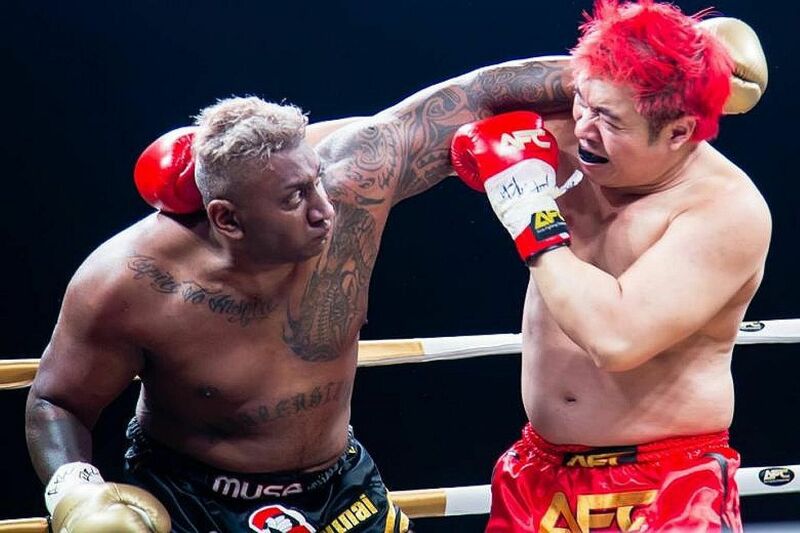 The World Bodybuilding and Physique Sports Federation of Singapore (WBPF) president lost the bout after the referee called a stop to the contest in the second round. He had to be helped out of the ring, and died of cardiac arrest respiratory failure at SGH at 9pm, according to a preliminary medical report. The final medical report will be released in 30 to 60 days. 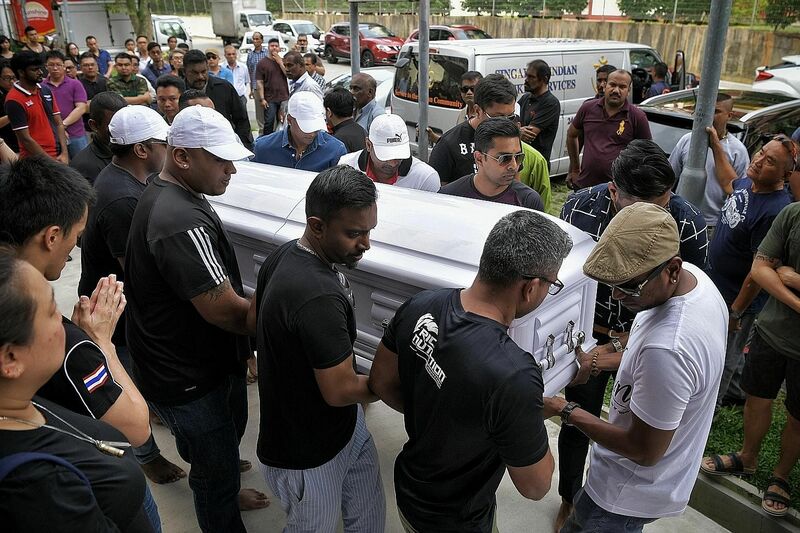 More than 350 friends, relatives and members of the combat sport and bodybuilding fraternity gathered yesterday afternoon at his home at Block 807, Woodlands Street 81. After the funeral rites, he was cremated at Mandai Crematorium last night. Many mourners were wondering how Mr Pradip was allowed to fight at such short notice, even though he might have had some martial arts background. His uncle, crane operator Venugopal Vengasalam, 69, said: "They are not really fighters and he shouldn't have fought last night." Singapore's mixed martial arts fighter May Ooi called for improved regulation of local combat sports. "A one-day notice to take up a fight for someone who was not a muay thai fighter, it makes no sense. It puts that person under a lot of unnecessary risks," she said. "Two men throwing punches at each other is no joke, no matter how the fight was marketed as." Mr Lim, 41, told The Straits Times he was devastated by the death, saying: "I won the title but I feel so sad." He described Mr Pradip as a "big friendly giant" with whom he had no animosity. He said the bodybuilder even offered him help to put on his gloves before the fight. The youngest of three siblings, Mr Pradip is survived by his brothers Saravanan and Shanmugam, 43, who are twins. His mother is V.T. Devi, 65, while his father K. Subramanian, 67, is a security executive at construction firm Woh Hup. Mr Shanmugam said: "This was definitely not the age for him to go. He's helped so many people; he's always passionate about bodybuilding and fitness. He's the youngest in the family, and suddenly he's gone." AFC founder and chief executive officer Sasidharan Unnithan, 38, insists that the event followed standards and safety protocols set by sanctioning body World Muaythai Council, and that a medical team had certified the fighters fit. He added that Mr Pradip used to train him in kick-boxing in the past at California Fitness. "He wasn't completely new. I wouldn't say he had no experience," he said. WBPF vice-president Andrew Johnson, 47, said of his president: "He was trained in kick-boxing, muay thai and Brazilian jiu-jitsu, but had never stopped giving to this sport. He was full of life."